UPDATE: Tony La Russa is unanimously elected to the Baseball Hall of Fame, as are Joe Torre and Bobby Cox. More from Derrick Goold and Rick Hummel is here. It’s Monday morning, it’s cold and snowy throughout much of the country (which was pretty obvious if you watched any NFL games yesterday) but there’s plenty of baseball talk going on — so it can’t be all bad. Maybe you saw the article on Friday in the St. Louis Post-Dispatch hinting at Tim McCarver joining the Cardinals broadcast team. Now Jenifer Langosch has more at the Cardinals site: indeed Fox Sports Midwest is nearing a deal that would add McCarver to the television team in a limited role. Hmmm. Having never been quiet about my feelings for the Fox Midwest announcers (and rewatching some games lately from this season just makes my feelings all the more clear), I can’t say this would make things any worse than they have been. Who knows — maybe Joe Buck could even come back and do a couple of games with McCarver. Didn’t everyone besides Cards fans think they were always rooting for the team during national broadcasts anyway? 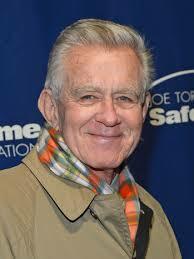 But Dan McLaughlin and Tim McCarver together … yikes. In happier thoughts, there likely isn’t a Cardinals fan out there who doesn’t appreciate what John Mozeliak continually does for the team. (Well, okay, there probably is at least one …) But if you don’t appreciate how he’s built the roster that’s appeared in two of the last three World Series and even retooled the roster for 2014 without giving up any of the Cardinals prospects plus received a compensatory draft pick now that Carlos Beltran has signed with the Yankees, read this about the Seattle Mariners and their general manager Jack Zduriencik. You will appreciate Mo — and be really glad you’re a Cardinals fan. This will be the year of the manager. And, said Herzog, by digression, so could next year be for the current Cardinals manager. As for any Cardinals activity in Orlando, about the only need still remaining for the team is bench help. Here’s a closer look at that from David Wilhelm of the Belleville News-Democrat. Finally, the Peoria Chiefs online auction for Central Illinois tornado relief is still ongoing. Check out some of the current items up for bid — baseballs signed by Cards Hall of Famers Bruce Sutter, Ozzie Smith, Whitey Herzog and Lou Brock plus Jim Edmonds; an autographed 8 by 10 photo of Red Schoendienst; some cool signed artwork of Scott Rolen, Mike Matheny and Matt Morris; and more. This entry was posted in General Cardinals and tagged Auction, Fox Sports Midwest, Hall of Fame, John Mozeliak, Mike Matheny, Peoria Chiefs, Tim McCarver, Tony La Russa, Whitey Herzog, Winter Meetings by Christine Coleman. Bookmark the permalink. That is a fantastic quote from Whitey! And I too, as well as probably every other Cards fan, was so irritated during Fox Sports MW broadcasts, I often wanted to press mute. While I don’t know if McCarver would be any better, he certainly wouldn’t be any worse.